Parishioners at the progressive Newman Hall in Berkeley are outraged at the decision by Oakland's new conservative bishop to dismiss two beloved priests — one of whom is openly gay. Bishop Michael Barber has not said why he removed the two priests from Newman Hall. During Sunday Mass several weeks ago at Newman Hall Holy Spirit Parish in Berkeley, Father Bernard Campbell spoke of anger, bitterness, and sadness. At the end of the service, the pastor read a short excerpt from a poem: "A friend once gave me a gift, a box of darkness, and it took me a long time to discover that even this was a gift." 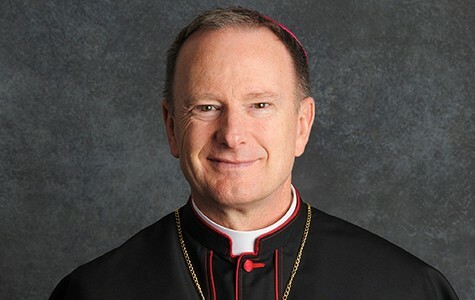 The quote was his way of helping parishioners process the surprising news he had just delivered: Michael Barber, the new bishop of the Oakland Diocese, had decided to remove him and another pastor, Father Bill Edens, from Newman Hall. The "darkness" appeared to be a reference to the fact that, as Campbell told the crowd, the bishop had not met with the pastors or given them any information on the reason for his decision. It was, however, the bishop's direct order, he said. And yet more troubling was the fact that, according to the pastor, Barber had made it clear that the removal of these two priests supported his broader goal "to see a major redirection of ministry at Newman." The bishop had apparently expressed this intention last fall to the leadership of the Paulist Fathers, the Roman Catholic order that has run Newman Hall for more than a century. "The bishop hasn't responded to any inquiries or letters or phone calls," said Matt Werner, a longtime East Bay resident and Newman Hall parishioner since 1998. He wrote to Barber last month, requesting that he reconsider the dismissals. "He's been completely silent on the topic." Without any explanation from the diocese, Werner and others are left wondering whether the progressive ways of Newman Hall, which serves East Bay residents, including the UC Berkeley community, may be a contributing factor. "All are welcome here," Werner explained. "Gays, lesbians, people who may not find a home at other Catholic churches. We want to make it a home for everyone." For this reason, some are questioning whether Barber might be uncomfortable with Edens' admission that he is gay, Werner said. But at this point, he said, "We're in the dark. There are a lot of different theories and rumors and one of them is that [it is because] Father Bill Edens is an openly gay priest ... and the new bishop is arguably very conservative." David Hahn, another longtime parishioner and former co-chair of the church's parish council, put it this way: "Newman Hall has a reputation as being a liberal parish, because we are open and welcoming to different components of the population. ... It is also a fact that Father Edens has come out. To me, that may be one of the red flags for the bishop." He, too, emphasized that this is a matter of conjecture at this point, adding, "I hope he's not thinking that way. It's absolutely ridiculous." 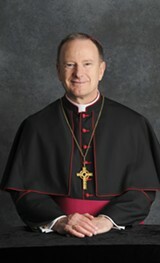 Hahn hand-delivered his letter to the bishop, in which he praised Edens and Campbell for "their ability to connect with parishioners, young and old alike [and] their untiring efforts to promote intergenerational dialog among children, teens, adults, and the University students here at Newman." Thomas Dandelet, a parish council member and UC Berkeley professor who also wrote to the bishop seeking information, added, "It's really difficult to know what's going on since the bishop has not communicated with the parish council or Father Bill and Bernie about the reasons for this change. We've been left pretty much in the dark about the motives." Last week, Edens and Campbell both declined to comment for this article, saying they did not want to speak out during this time of transition. On Sunday, Newman Hall officials announced the two Paulist priests who will replace them — Ivan Tou as pastor and Dat Tran as associate pastor. They are scheduled to start in July. Officials have not announced where Campbell and Edens are headed next. Reached last week, Mike Brown, spokesperson for the Diocese of Oakland, said that Bishop Barber was away on a retreat and unable to answer questions about the decision. Brown confirmed that the bishop's office has received letters from parishioners inquiring about the changes. He said this is common when transition occurs. "It's always of concern, or in some cases distressing, to parishioners when the pastor is moved on. That is not surprising." Often, he continued, "There's a certain cadre of people that have gotten very close to them that are upset." Still, he noted, the bishop has the authority to make these kinds of decisions: "That is his job." Some parishioners, however, said that it was unusual for the bishop to take such an active role in the decision-making process. Typically, they said, leaders with the Paulist Fathers make recommendations that the bishop then approves or declines. For this reason — and because Campbell's speech referenced a broader reform agenda by Barber — some said they are worried that the bishop might be looking to have more direct control over Newman Hall. When I asked Brown to respond to concerns that the bishop might be interested in making Newman Hall more conservative, Brown said he doesn't think the "liberal, conservative political references" work well in the context of the Catholic Church. He added that the priests replacing Campbell and Edens would be making relevant decisions for Newman Hall moving forward. "Paulists have run that place for over a hundred years and will continue to do so." A spokesperson for the Paulist Fathers did not respond to a request for comment. Brown also said he was unaware that Edens was gay and could not comment on whether that had anything to do with the decision. In recent years, gay priests across the country have made headlines on multiple occasions after coming out publicly. When Edens — who has been at Newman Hall for about five years and is the campus minister — came out to parishioners, there was little fanfare or controversy. This could perhaps be a testament to the progressive nature of the Berkeley families and UC students that attend Newman Hall, which has an active LGBT group. In general, the parish, which is a few blocks away from People's Park, focuses strongly on social justice issues. JC Orton, a member of the parish council, said his impression of Barber was generally positive, noting that the bishop helped Newman Hall parishioners provide food to the homeless one Sunday last year. But, Orton added, the bishop's latest announcement seemed abrupt and confusing, even if the bishop has oversight of priests' assignments. "The Catholic Church is not necessarily a democratic process. It's just the way the church is," he said. "The big thing everyone wants to know is why is this being done?" Some parishioners are also concerned that the bishop could be looking to prioritize serving UC Berkeley students over longtime community members. A similar controversy erupted at UC Davis last year when the bishop of Sacramento decided to move liturgical services from the Newman Center chapel on campus to a nearby parish, a move which, according to a report by the National Catholic Reporter, angered non-students who felt they were being dismissed. The same publication also reported on a dispute last month at the University of New Mexico's Aquinas Newman Center, where the termination of multiple priests raised questions about whether the archbishop was targeting the center because it was more liberal and diverse. One letter signed by eight members of Newman Hall in Berkeley emphasized the importance of maintaining its diversity. "The well-known ethnic and cultural diversity of this parish, its generosity, its rich intellectual environment, and its welcoming spirit are all integral to the identity of our parish," it read. "We sincerely believe that our multi-generational parish is a unique blessing for both the students at U.C. Berkeley and the non-student parishioners."